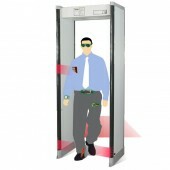 The precise positioning of this Economical 6 Zones Walk Through Metal Detector is depends on the average distribution of six independent detection regions to detect the targets, so it can detect the regions without blind spots uniformly. 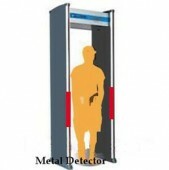 And the application of the built-in self-diagnostic procedures, power-on self test, the self-diagnosis functions of this walk through metal detector has come true. The convenient installation and easy to rule out failure functions have been achieved by the modular design. 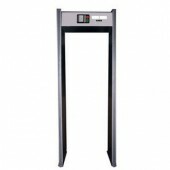 Besides the DSP digital signal processing filter systems own excellent anti-electromagnetic interference ability and strong resistance to touch. 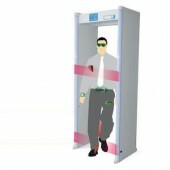 Apart from that the above, the walk through metal detector has high sensitivity and it can be adjusted. 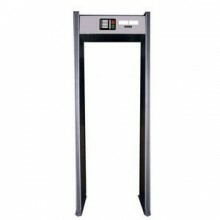 Therefore, the using of the password-protected settings makes it safer and only professionals can change the parameters. This is really a safe and economical device? 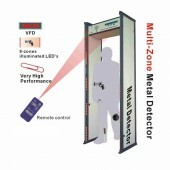 Are you still looking for a walk through metal detector like this? Come here. We will offer you the best one. Standard: "GB 15210-1994. Through-type metal detector door general technical conditions" national standards. Through rate: more than 60 million / per minute. Working environment: -10 ℃ ~ 45 ℃, ≤ 95% RH. Overall dimension: 2220 mm (high) × 820 mm (width) × 500 mm (deep). The after sales service of your clerk is thoughtful, it is a happy purchasing experience for me. Thanks a lot. Your product is of good quality and sound price, that's why I kept buying your product several times.